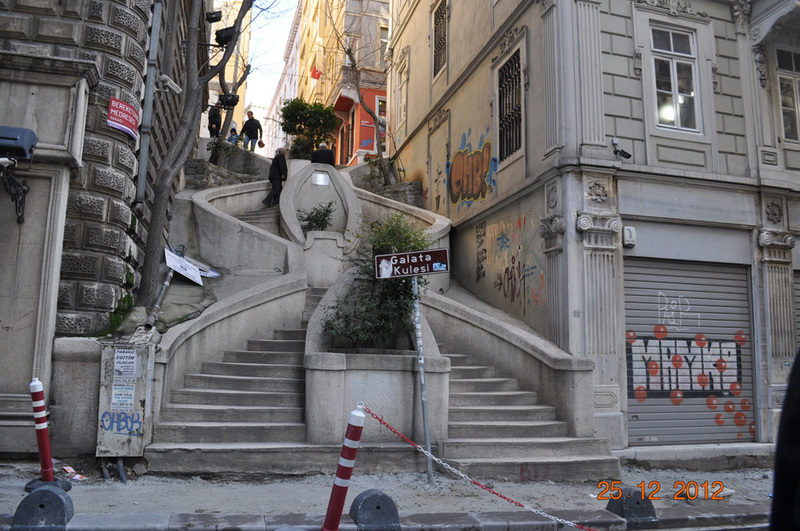 Located on the northern shore of the Golden Horn, Galata was a Byzantine quarter, then became a colony of the Republic of Genoa between 1273 and 1453. It has been a harbour district throughout its history. 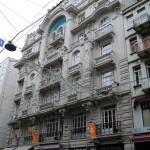 The district of Beyoğlu is located on the European side of İstanbul. 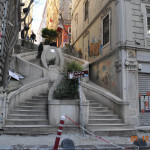 Beyoğlu is surrounded by Şişli to the north, Beşiktaş and the Bosphorus to the east, Kağıthane and Eyüp to the northwest and Golden Horn to the south. 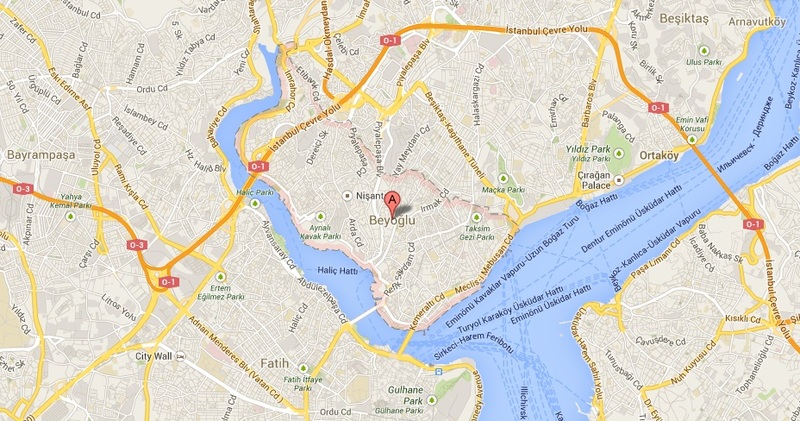 Its total area is 8.76 km² and it consists of 45 neighborhoods. 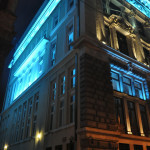 Beyoğlu is one of the liveliest, most crowded and ever-changing districts of Istanbul. 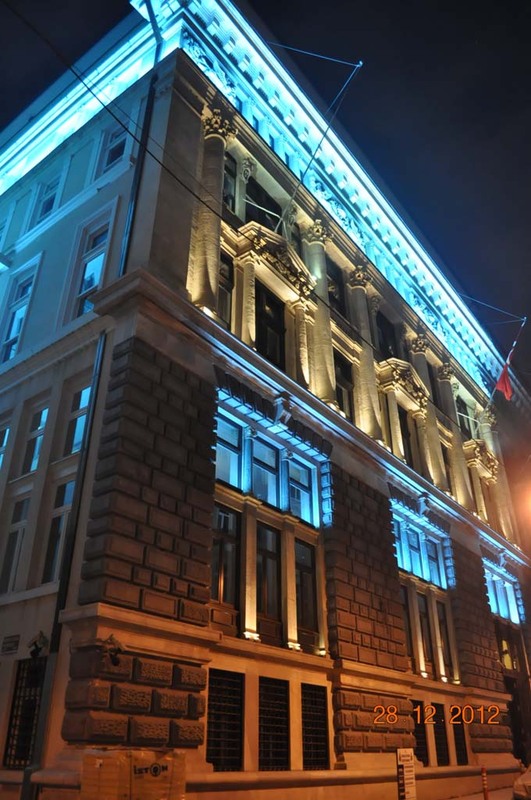 Beyoğlu is an attractive destination for domestic and international tourists 365 days a year, with its vibrant nightlife and wide range of accommodation facilities. 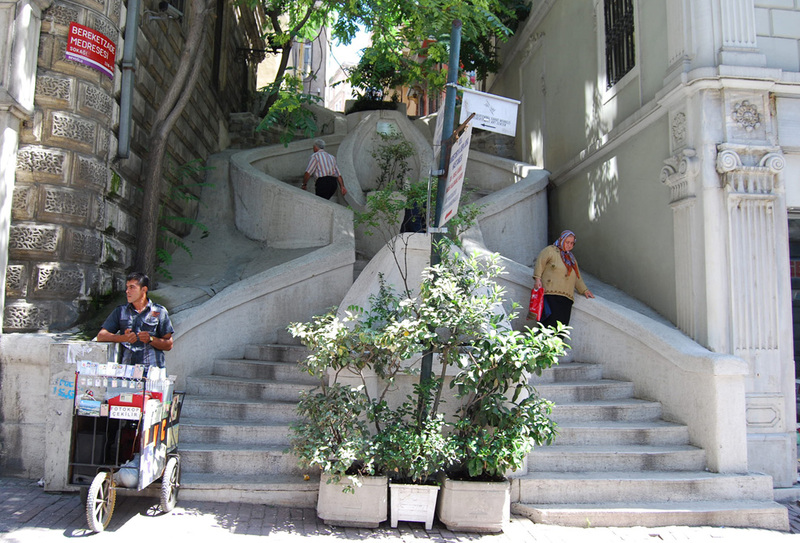 The area that developed opposite the historical peninsula on the other side of the Golden Horn, has been referred to as Pera for a long time, meaning “the opposite side”. 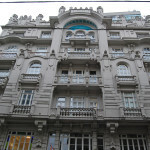 The origin of the Turkish name is believed to be a derivation of a mansion owned by the son of a famous Bey in the area. 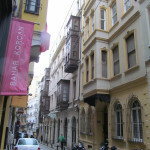 There are two theories on the subject; one shows the son (or the nephew) of the Pontic Prince Alexios Komnenos as the person who converted to Islam and settled in this part of İstanbul, and the other one claims that the son of Andrea Gritti –the Venetian ambassador during the reign of Mehmed II- lived in a mansion in the vicinity. Luigi Gritti, called “Bey oğlu” (son of the Bey) by the Turks was the son of the ambassador and a local Greek woman. 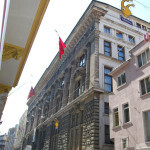 The name Pera fell out of use after it was removed from legal correspondence in 1925, at which point Beyoğlu gained rapidly in popularity and has been used widely since. 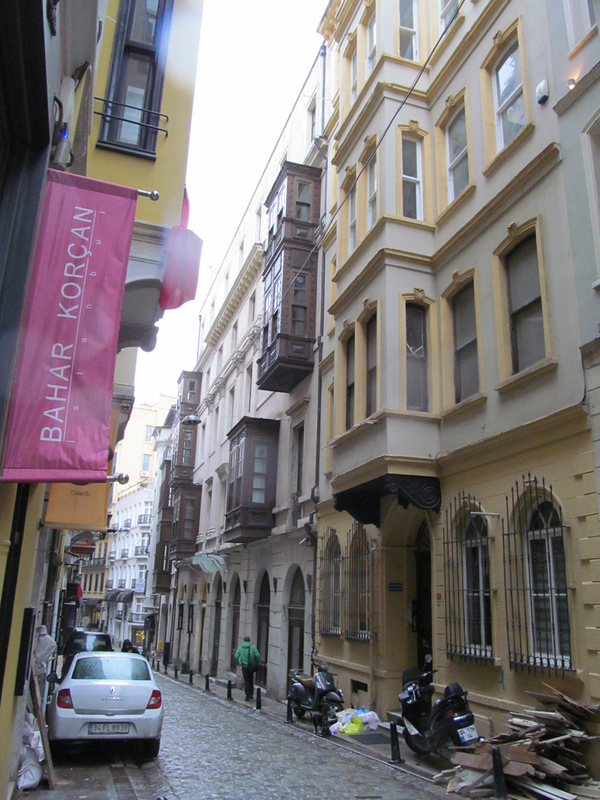 Whereas the history of Galata dates back to antiquity, Beyoğlu in general was an area with many gardens and fields with few structures to be found. 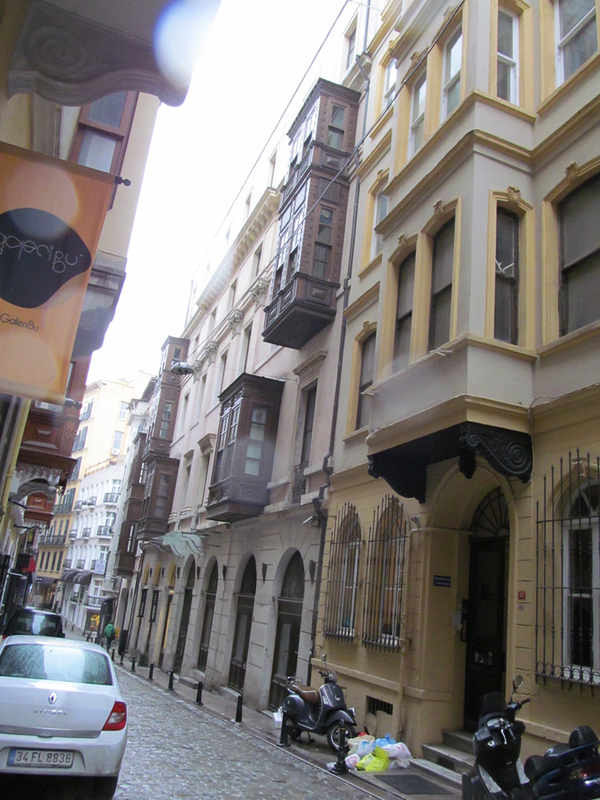 Beyoğlu was first populated by the Christian subjects of the Empire and by the foreigners who came from Galata and settled in the vicinity of the embassies on the Grand Rue de Pera, now İstiklal Street. These settlements created a European looking district in time. 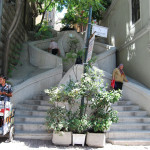 Thus, this diverse community started to develop within the general Istanbul population in the 17th century. At first, the only inhabitants were French and Venetian ambassadors and the Franciscan monks who settled near the embassies. 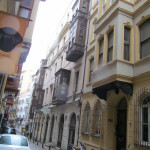 In a 17th century miniature of Galata, it is clear that there were very few buildings outside the walls of the main city. 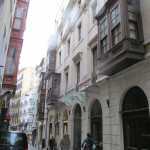 By 1700, Beyoğlu had spread to both sides of the street between Tünel and Galatasaray and the connected small streets. 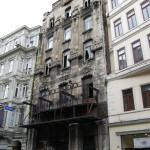 Beyoğlu was a prosperous district with the crossroads as its center. There were cemeteries to the west and embassies to the east. The European influence grew stronger in the 18th century. 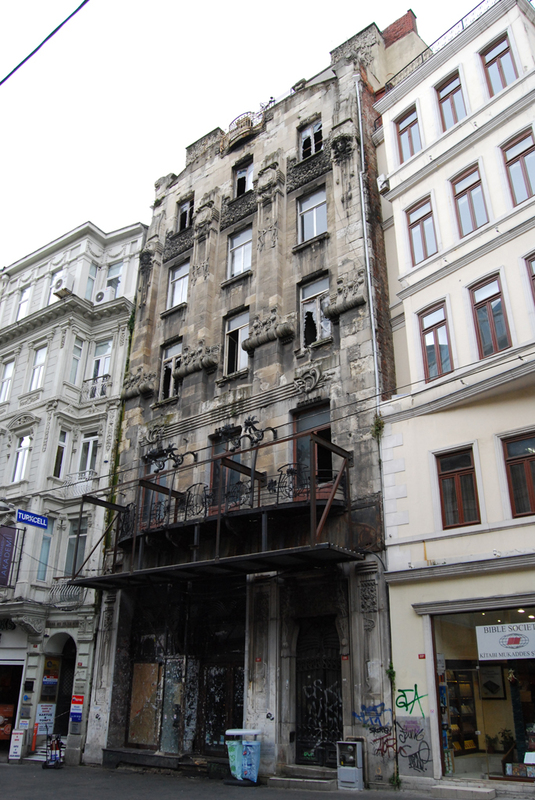 At the end of the 1700s, almost all of the buildings on İstiklal Street were made of stone and brick. 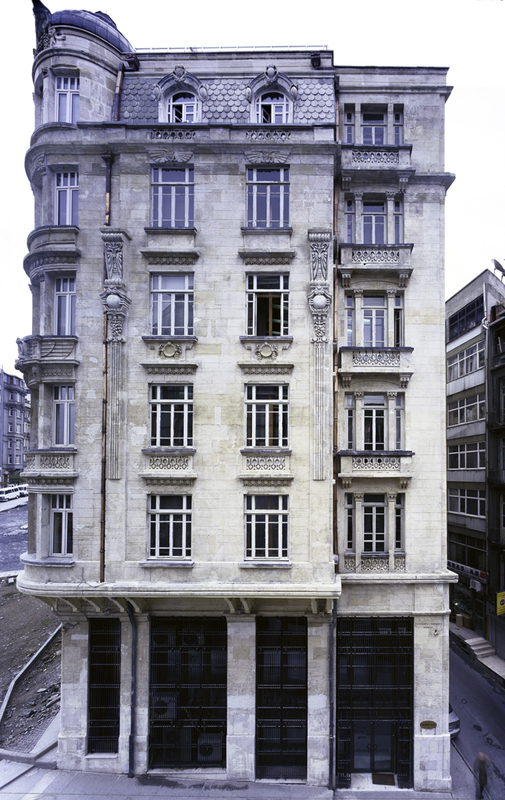 The 20th century witnessed the expansion of Beyoğlu in the area between Galatasaray and Taksim. 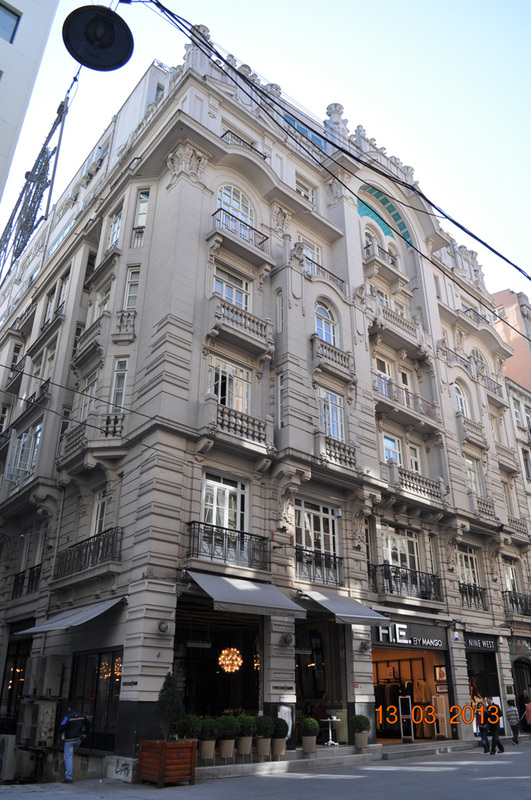 The fact that there were still mansions with large gardens here meant that it was possible to build apartment blocks on these plots and this led to the characteristic development of this part of Beyoğlu. 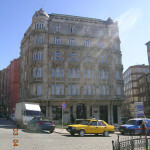 When the first electric tramway line connected Beyoğlu to Şişli, the area between Galatasaray and Taksim became even more popular due to its proximity to the line. 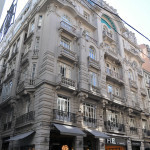 During this period, many modern buildings were built and many new neighborhoods were created. 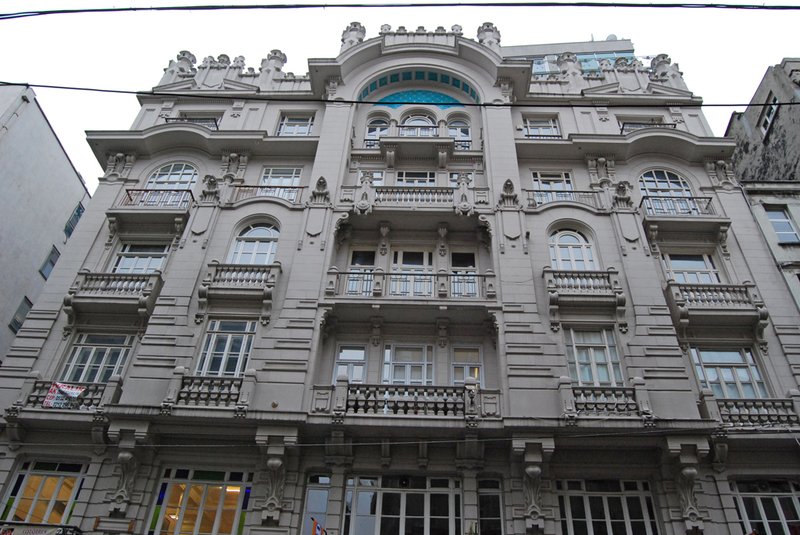 Most of the early 20th century buildings in Beyoğlu reflect the Art Nouveau influence. 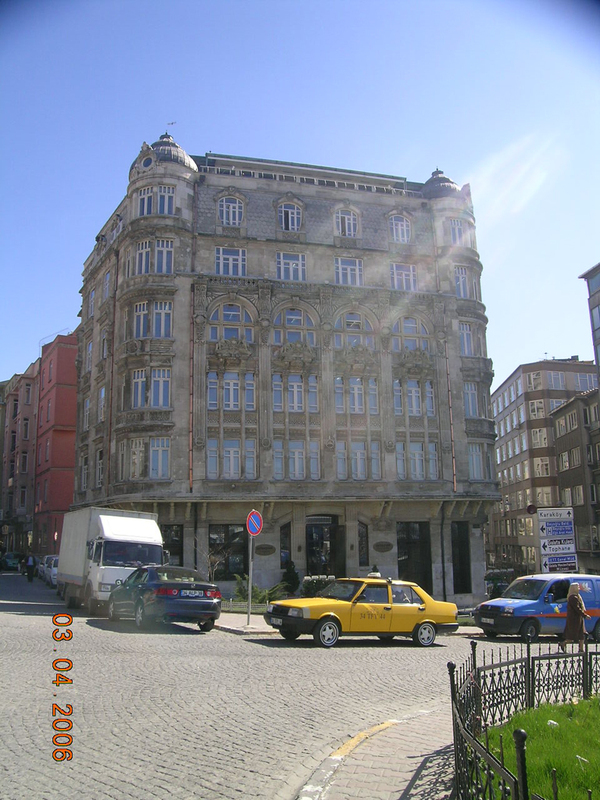 The construction of the church was completed on August 23rd, 1906, by Giulio Mongeri, an architect who was born in İstanbul. 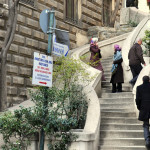 It is the most important Catholic church in İstanbul and it is administered by Italian priests. 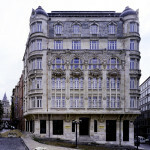 It was opened to prayer on the 15th of February, 1912. The dimensions of the church are 20 x 50 meters and it was built in neo-gothic style in the shape of a Latin cross. The interior walls are covered with mosaics up to a certain point, while the exterior of the church is brick. 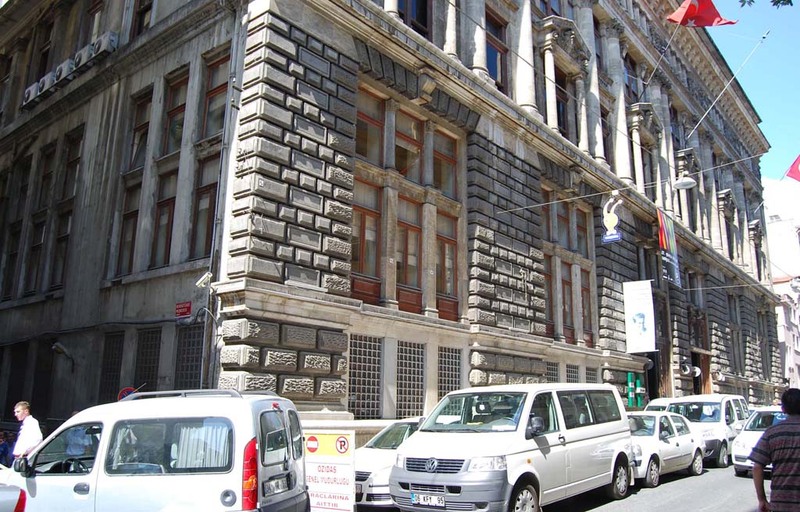 A part of the plot that was owned by the Ottoman Tobacco Company on Voyvoda Street was given to the Ottoman Bank at the end of the 1880s and the Levantine architect Alexandre Vallaury was assigned to plan buildings for both of the institutions on the premises. 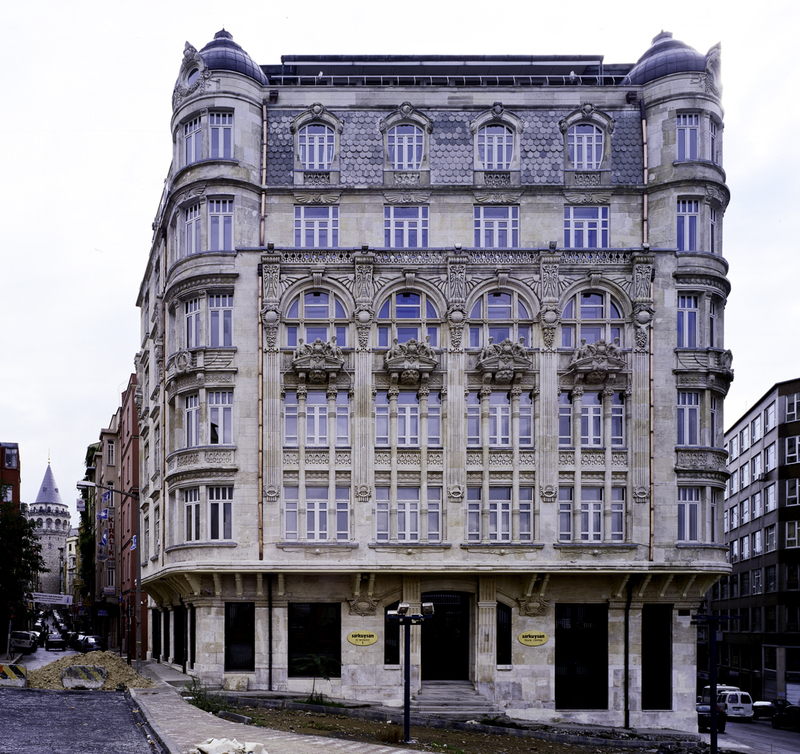 A steel safe with three levels and four doors, the lock system of which still inspires experts today, was brought from London and the building was constructed on top of this safe room. In the construction of the safe room, 1 cm thick sheet metal was used, and the outer walls had three layers supported with 110 cm and 70 cm thick concrete profiles. The static calculations were based on these walls. 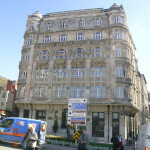 When it first opened, Ottoman Bank had vaults, warehouses and stables on the lowest floor; on the floor below the entrance was the safe that was made by the famous manufacturer Samuel Chatwood and the cafeteria; the clerks were housed on the entrance level; the private room and the office of the manager as well as the offices of his secretaries and translators were on the first floor; the offices for the accountancy service, government custodian and the inspectors were on the second floor and the catering service, archive and janitor rooms were in the loft. 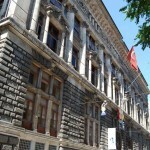 The historic Ottoman Bank building has been hosting the Ottoman Bank Archive and Research Center since 2000. 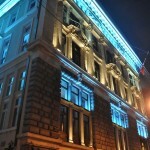 The Ottoman Bank Museum was founded in the building in 2002. 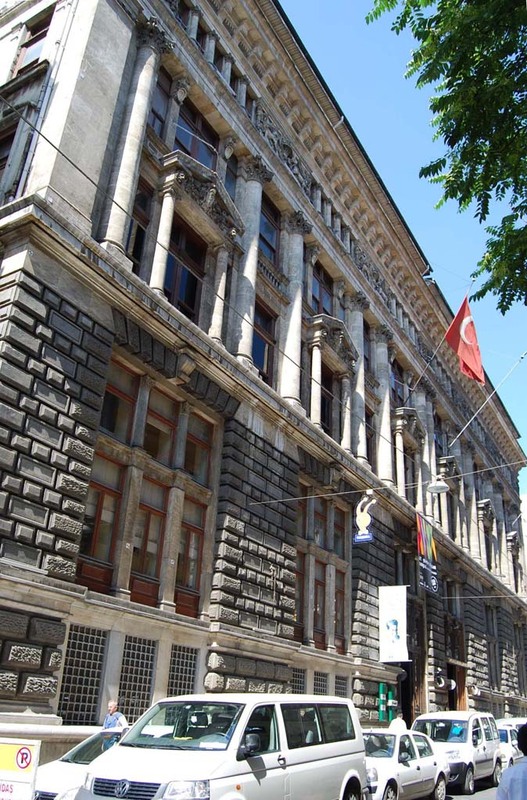 It is considered one of the richest financial history museums in the world, and the initial project was pursued by the Ottoman Bank Archive and Research Center. 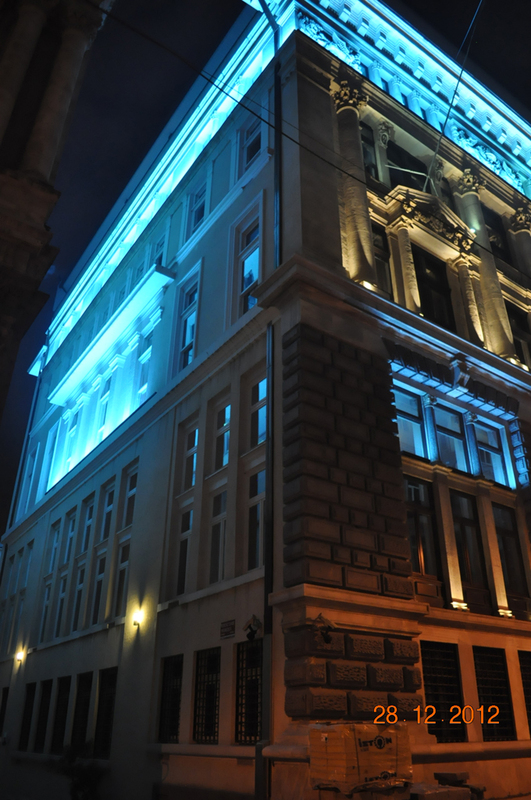 The overall project for the museum was coordinated and supervised by historian Prof. Edhem Eldem, architect Prof. İhsan Bilgin and designer Bülent Erkmen. 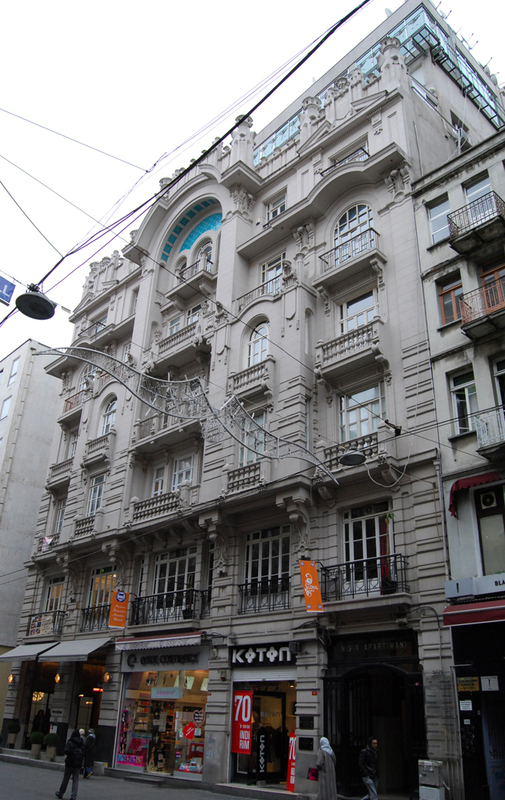 Located on Serdar-ı Ekrem Street, the apartment block was built in Italian style in 1895. 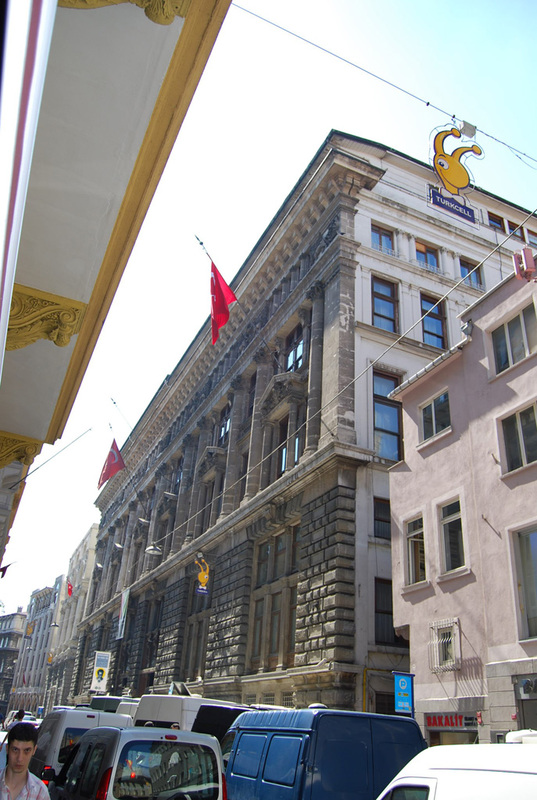 It is named after Doğan Kardeş, who died in Switzerland while skiing and who was the son of Kazım Taşkent –the owner of the building at the time. 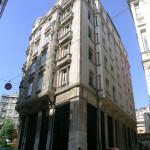 The building was sold by Kazım Taşkent as 51 flats and 2 shops. The area that used to be a tennis court was sold separately as plot and it is now being used as a parking lot. 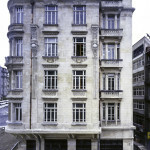 The building with three wings around a yard consists of four blocks and it was built by a Belgian family of tobacco merchants over a period of twenty years, block by block. 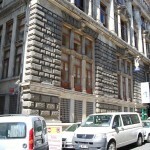 The building has a magnificent view and it has been frequently used as a set for films and television. 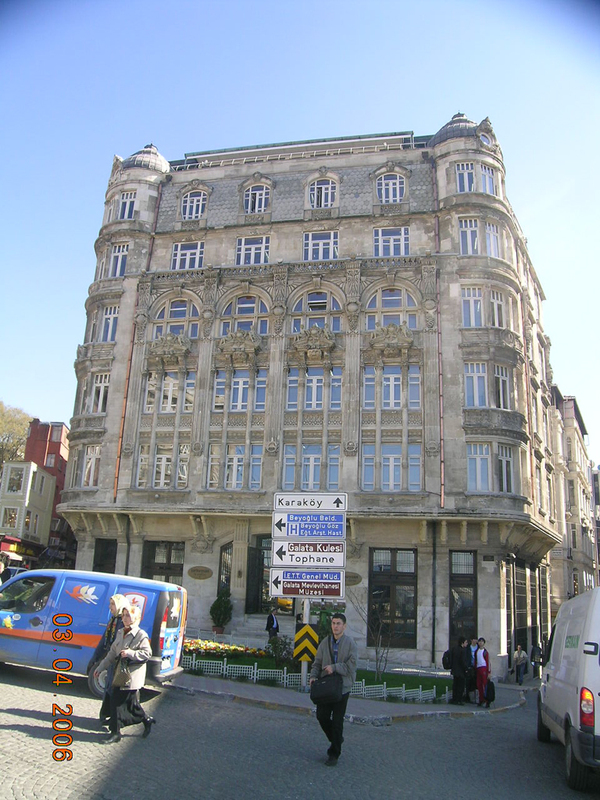 This unique, late baroque influenced structure was built in the 1850s in order to elegantly connect Voyvoda Street (then the main street in Galata) and Rue Camondo (now Banker Street), which hosted the bank of one of the most prominent bankers in the district, Avram Camondo. 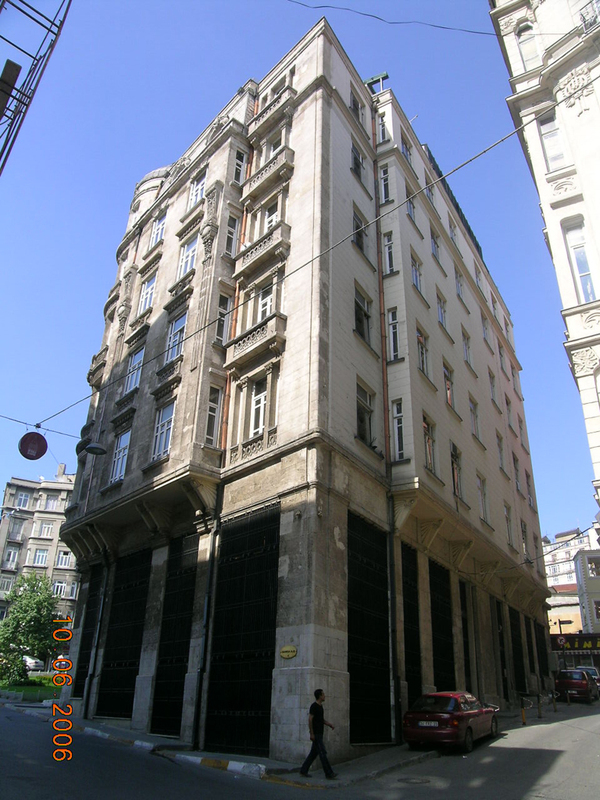 The Jewish Camondo family of Portugese (or Spanish) origin is believed to have moved to İstanbul after living in various cities in Europe, probably at the end of the 18th century. The family soon became very prosperous through international trade. 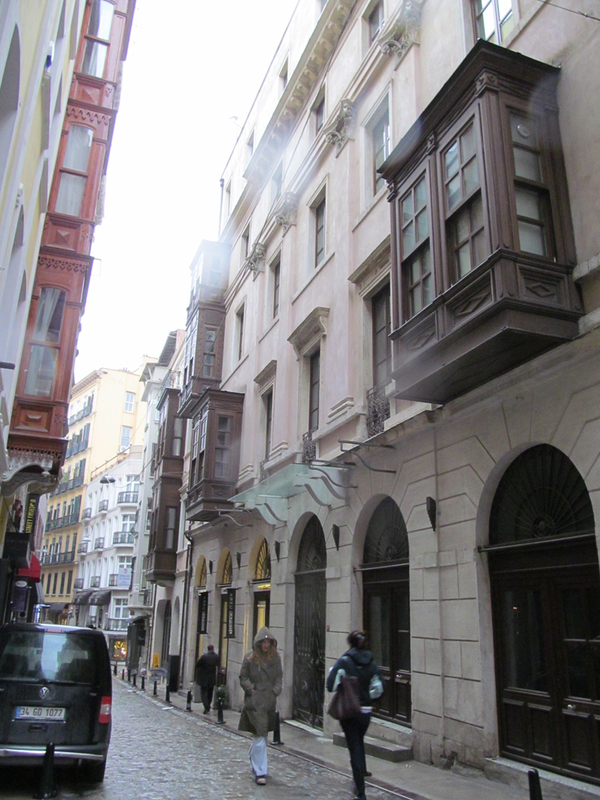 Though the family name appears in Ottoman documents as early as 1782, there is no detailed information on the family members and their activities. 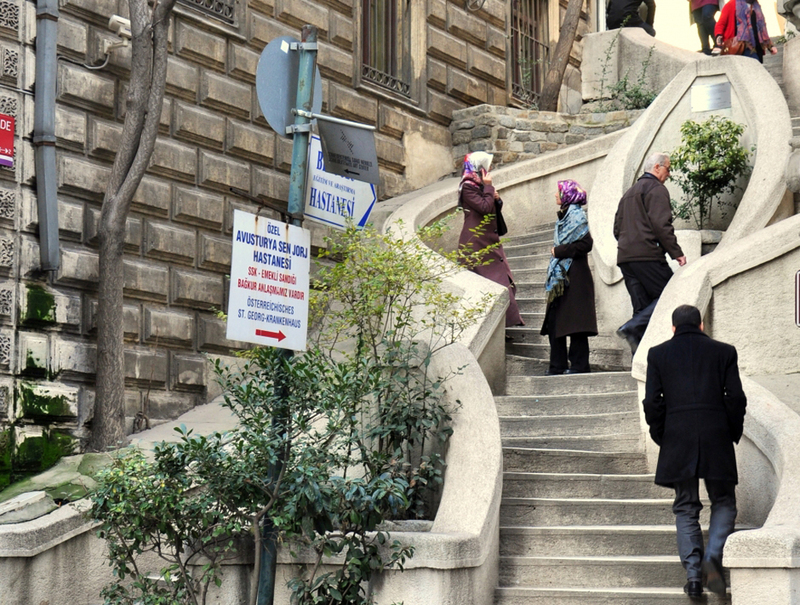 Take the Havataş Shuttle or public bus 96T from the Atatürk Airport to Taksim and walk.